The internet age has made us more connected than we ever thought possible. Not only are we capable of connecting to each other, but more and more of our devices are sharing information as well. Networked devices range from phones and computers to cars to household appliances. As more devices join the network, it has become easy, convenient and cost-effective to remotely control many devices in your home or business. Access control is one of the systems that has taken advantage of this new era, including electronic door locking systems and other solutions that administer permissions and control the flow of people to a secure area, building or facility. Vehicles still require physical keys to operate, even if the access they grant is digital. This allows only the person with the key to drive away with the vehicle and ensures its security. For this reason, rekeying a vehicle should its key be lost can be expensive and time consuming, and create costly downtime for anyone operating a vehicle fleet. Key control that protects these keys from theft or destruction can help to not only ensure that rekeying isn’t required, but also make creating vehicle rosters simple and audit when vehicles are being used by employees. 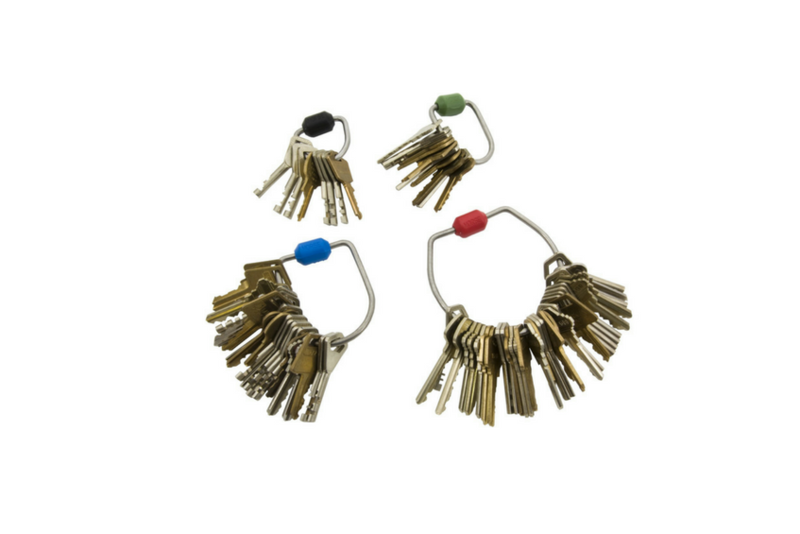 Correctional facilities still use physical keys for multiple functions for the added layer of security and to keep prisoners in their designated locations. It’s absolutely essential that these keys be kept not only locked away in an accessible but secure location but are only accessed by authorized users with a strict record of access. A key control system can be equipped with multiple access parameters including biometric scanners, PINs and multi-user access can also create an auditable organizational record. In a healthcare facility, keys to the dispensary or other areas where drugs are kept are under regulations to ensure that controlled substances aren’t stolen or misused, by patients or doctors. Measures to control and protect physical keys can prevent the theft of these substances, protecting the facility from liability and helping to ensure that patients don’t take anything they’re not supposed to. College campuses often utilize physical keys for dorm rooms, as they are cost effective, unhackable, and difficult for distracted college students to lose. For this reason, maintenance facilities require their own copies of the keys to maintain as residents come and go and in case they require their own access to the dorm rooms. Key control systems can be put in place across a campus to make it easy to keep track of which keys in what may be an extremely large system have been removed. In addition, a system deployed across a facility allows keys to be securely returned at any location. Casinos often have sophisticated, modern access control systems to operate their complex, dynamic facilities with multiple, tiered layers of access. For individual drop boxes, counting rooms and many areas of operation where money is dealt with, physical keys are still in use to keep them protected from hacking on the network. To remain in compliance, casinos need to be sure that their keys are safe, monitored, and returned in a timely manner. Notifications in place on key control systems help keep casino security up to date with their usage. A variety of verticals still make good use of physical keys for their “unhackable” quality. Keeping these keys protected and properly monitored can help to make sure that those keys are only used by authorized persons and are not being stolen or misused. In a more and more digital era, physical keys can provide a different sort of security.